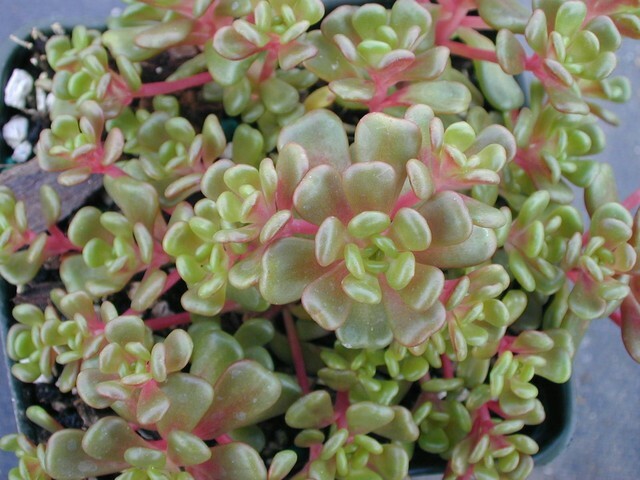 This tiny creeping form of Sedum oreganum grows only to about 1 inch tall. Evergreen leaves will turn cherry-red in the sun and will hold that color nicely. Flowers are bright yellow and contrast wonderfully with the colorful foliage. This type comes from higher altitudes in the coastal ranges of the Pacific Northwest in the USA.